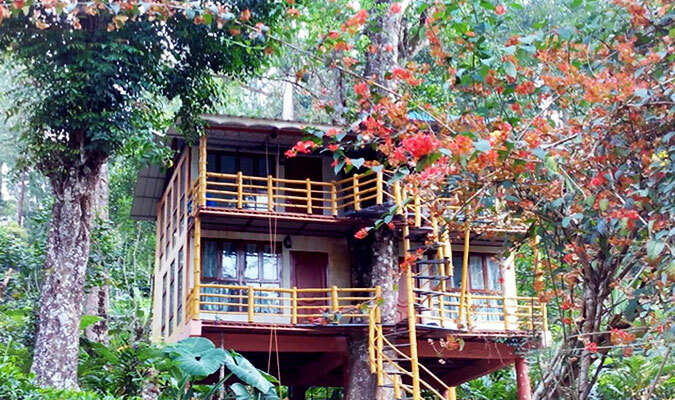 The Jungle Tree House in Munnar is a perfect tourist place for travelers seeking a peaceful holiday. Get ready to escape into an environment, free from the distractions of daily business life. The Treehouse is located at the top level of Munnar, amidst evergreen mountains enjoying beautiful views. Decorated and fitted with all standard amenities, guests can enjoy a comfortable combined with nature related activities. 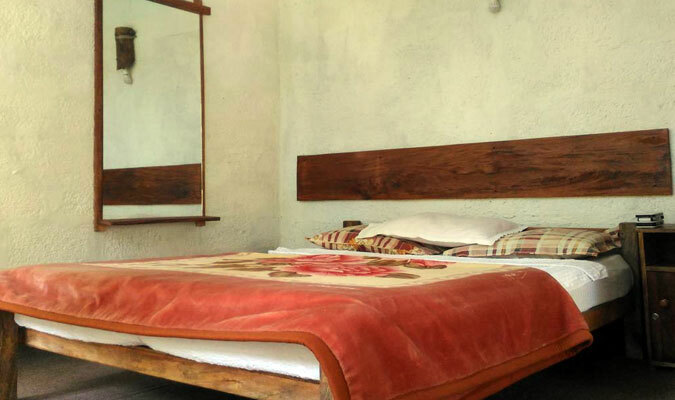 The Jungle Tree House is equipped with modern features like beds, bathrooms with flush-able toilets, washbasins with running water, shower with access to fresh natural air and water. The eco-friendly tree house have used local raw materials such as coir mats, bamboo poles, hay straws, trees used as pillar etc. The balcony overlooks rainforests, plantations of tea, coffee, cardamom and pepper. Guest can access to tree house and to the plantation. The resort staff are available all the time for guests. There are also specialists in the surroundings, the tribal techniques and rituals who can impart the knowledge to guests. The Tree House is built in a 27-acre planation in the neighborhood of Munnar. The surrounding places to explore include the Periyar Tiger Reserve and Thekkady. It is blessed with nature’s bounty, scenic charm, rich bio diversity owing to the river Periyar and Pamba. Sprawled over an area of 925 acre, Periyar is one of the 27 tiger reserves in India. It is a repository of rare, endemic and endangered flora and fauna. The nearest airport is Cochin International Airport, located 135 km away and Cochin Junction Railway Station is 150 km away. Though all type of vehicles can reach the resort, the preferred way is a Jeep ride. This 27 acre Jungle Park is surrounded by lush greenery away from cities. 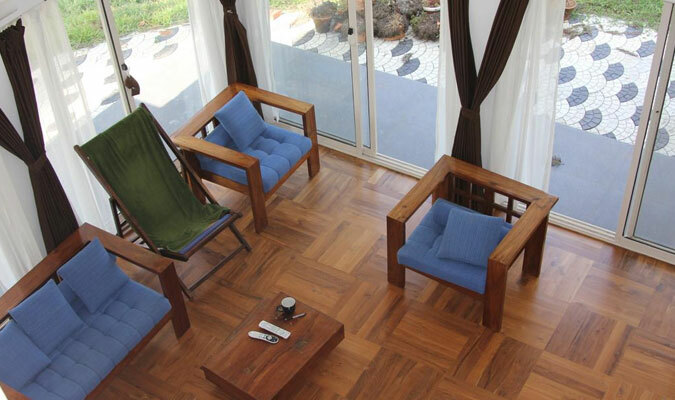 The entire property is maintained as an absolutely eco- friendly way. No concrete structures, no excavation, not even single nail, the tree house is natural bliss. As there is wildlife in the surrounding jungle, all transfers will only be done between 6AM to 6 PM.